Match ends, Wrexham 3, Boreham Wood 0. Second Half ends, Wrexham 3, Boreham Wood 0. Goal! Wrexham 3, Boreham Wood 0. Mike Fondop-Talom (Wrexham). Substitution, Boreham Wood. Connor Smith replaces Justin Shaibu. 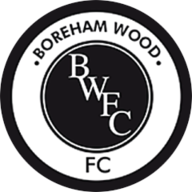 Substitution, Boreham Wood. Bradley Ash replaces Josh Umerah. Goal! 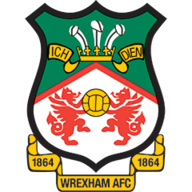 Wrexham 2, Boreham Wood 0. Rekeil Pyke (Wrexham). Substitution, Boreham Wood. Ricky Shakes replaces Dan Woodards. Substitution, Wrexham. Mark Carrington replaces Kevin Roberts. Second Half begins Wrexham 1, Boreham Wood 0. First Half ends, Wrexham 1, Boreham Wood 0. Goal! Wrexham 1, Boreham Wood 0. Jordan Maguire-Drew (Wrexham).